GEO CENTRE is a stunning and unique building. 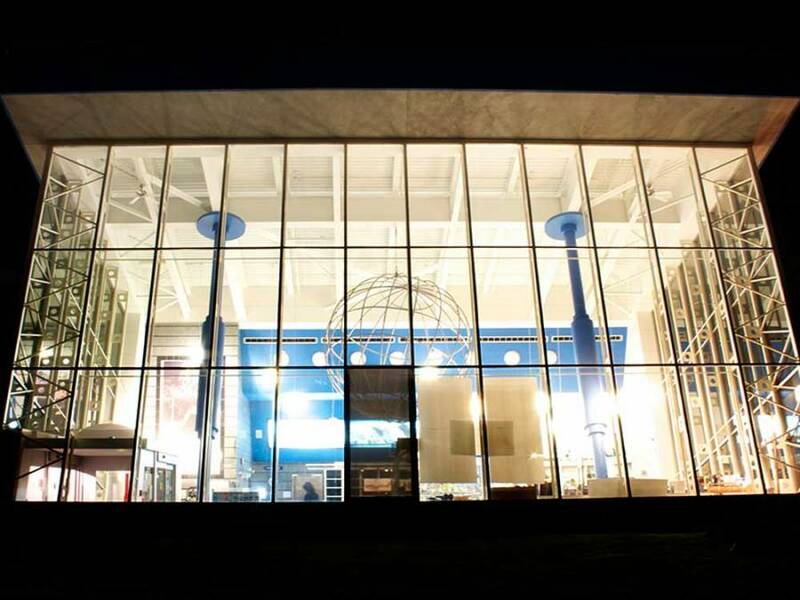 The GEO CENTRE is a geological interpretation centre — a $12-million building that is the result of more than four years of research, planning, design, and construction. It was built in a natural rock basin that was originally filled with peat, covering glacial till and boulders. The basin was excavated and the CENTRE constructed to fit between over 500 linear feet of exposed rock walls. Even the building’s heating system is an attraction. Six geothermal wells, each over 500 feet deep, were drilled to either extract heat from the deep rocks in winter or dissipate heat into them in the summer. The large, glass-encased entry, standing 2.5 stories high, is the only part of the building above ground, leaving approximately 85 per cent of the building’s 2,970 square metres (33,600 square feet) of floor space underground. High within the impressive, three-storey high reception hall, nine beautifully illuminated planets of our solar system are suspended. The largest, Saturn complete with its rings, measures over 24 feet in diameter. 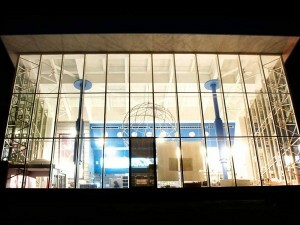 Apart from the main display areas, the GEO CENTRE is also home to an auditorium, classroom and gift shop, and areas set aside for future exhibits. The external walls of the exhibits area are of natural, 550 million year old exposed rock; you can see the features and characteristics of Signal Hill’s geology. On days of heavy rain or snowmelt the fractures and cracks within the rock walls provide natural channels for water migration, so that the walls themselves become wet as water seeps through the rocks. The grounds were carefully designed to retain original rock outcrops, wild grasses, shrubs, and trees. As well, 19 large specimens of Newfoundland and Labrador’s most significant rocks and minerals are displayed near the GEO CENTRE entrance plaza. The GEO CENTRE is an exceptional space for meetings and receptions of up to 400 people, with full catering service available.